Anonymous, 15 May 2013Cannot play YouTube Even Me Can't play Streaming Videos and Music. AnonD-147574, 20 May 2013WeChat for Nokia Asha 302 please? I download WeChat Too but its not working. viveck, 21 May 2013yesterday, i bought this phone.i hav only one problem wid this phone's battery.except this , n... moreYeah.. The Battery is the biggest problem. viveck, 21 May 2013yesterday, i bought this phone.i hav only one problem wid this phone's battery.except this , n... moreBut Watsapp is supported..
Friends, I just want to know that, can i watch youtube videos in this phone? AnonD-147574, 20 May 2013WeChat for Nokia Asha 302 please? I agree we chat please?? yesterday, i bought this phone.i hav only one problem wid this phone's battery.except this , no dual sim, no we chap support, no wifi hotspot. 1 feature i lyk very much in this phone ie. Internet telephone. Memory, so do backup before you start. Nokia Suite on your PC. 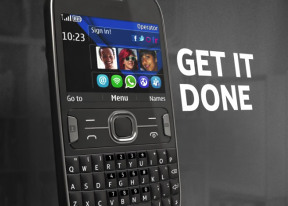 WeChat for Nokia Asha 302 please? ankit, 26 Apr 2013I want to buy this phone but after reading the opinion i am confused because there are many co... moreIam happy with it.got almost 3 days batterylife. I luv dis phone a lot bt da problem i have wth it is bettry,its not strong.I've never finished a day without charging. good phone. want 2. hw can i get them in gokwe? How do I play games on this phone, do I have to download or buy or what? Internet response is very slow, any solution? i want to upadate the firmware version .. Plealse send me the site..